There’s no denying the R8 comes from the factory with a world-class suspension system, and as such Air Lift Performance had to create an air suspension solution that’ll not only ride low, but also rival the road-handling performance of the existing Audi ‘Sport’ and ‘Comfort’ modes. 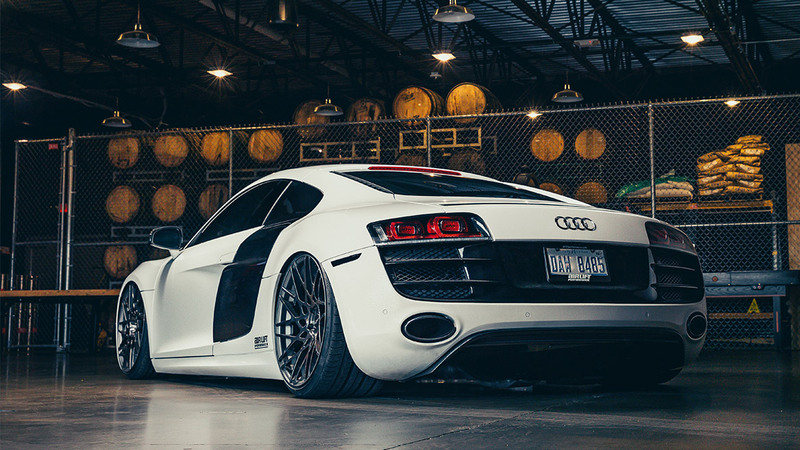 Thankfully, at Air Lift Performance, providing adjustability and customization is our specialty – that means not only getting your R8 on the ground, but also over the bumps, while maintaining ride comfort and performance. Our engineers made sure the R8 will perform at its absolute best no matter what. You know that you can trust Air Lift Performance because we’ve got a legacy of performance excellence – from bringing home a win in the first Daytona 500 to victories in today’s Redline and Global Time Attack events. In order to drop it down 3.1” from stock in the front, we paired our double-bellow air springs with threaded-body, double-adjustable, monotube dampers. These specialized dampers allow for 30 levels of both rebound and compression adjustability, allowing for a huge range of adjustability, all the way from a super soft “comfort mode” ride to a stiff “sport mode” setup. With the added feature of remote damping control, you know that your R8 will be ready for whatever the road may bring. 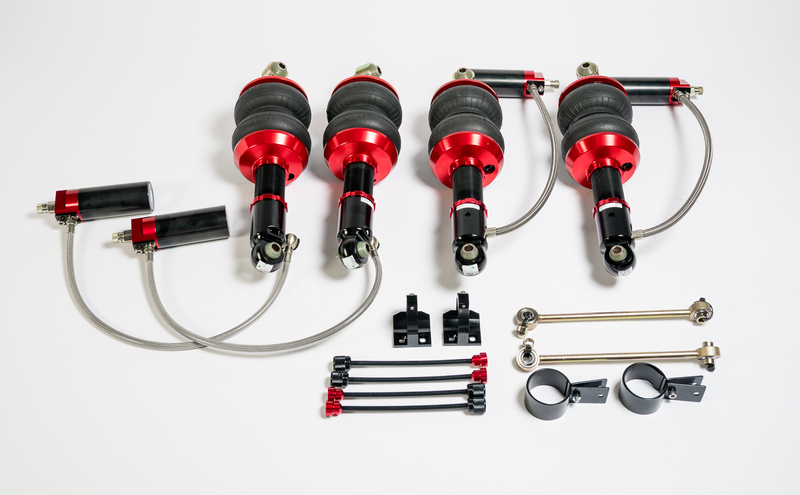 The Audi R8 (2008-2015) Performance Series kit is available with a range of Air Lift Performance air-management options, including the innovative 3H height and pressure sensing system. Air Lift Performance used a state-of-the-art 32-bit processor, and advanced height + pressure algorithms, then paired them with a full colour controller with built-in Bluetooth connectivity in order to make 3H the most advanced air management system on the market. Installation is simple with Air Lift Performance’s detailed instruction manuals. Anyone with the skill to wire a stereo and to swap suspension components can have their car on the ground in only a matter of hours. Basic hand tools are the only things necessary to complete the job. Keep in mind that if you are looking for the ultimate low look, some modifications and fabrication will be required. 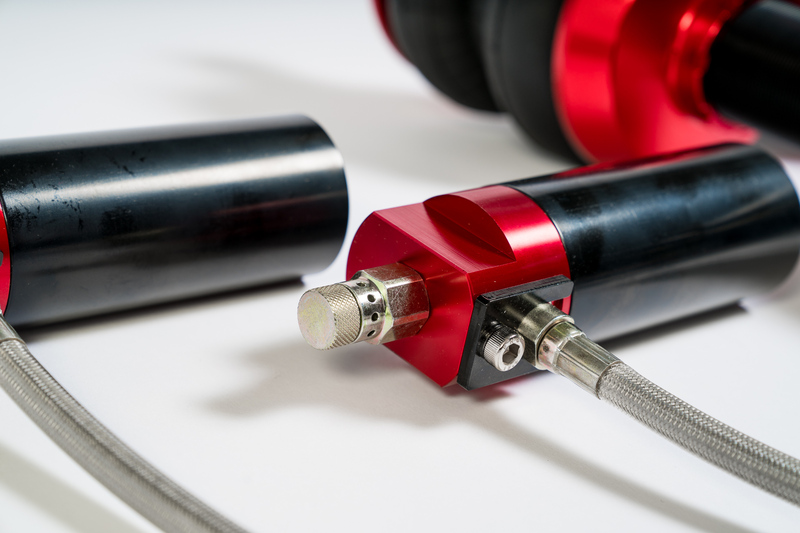 Air Lift Performance tests the components of this kit to 1 million cycles (approximately 100,000 miles) on a hydraulic test rig at temperatures from -30°F to 150°F. This test lab work, coupled with thousands of miles of on-road testing, not to mention a one-year manufacturer’s warranty, gives you a kit that you know you can count on to handle whatever the road throws down. 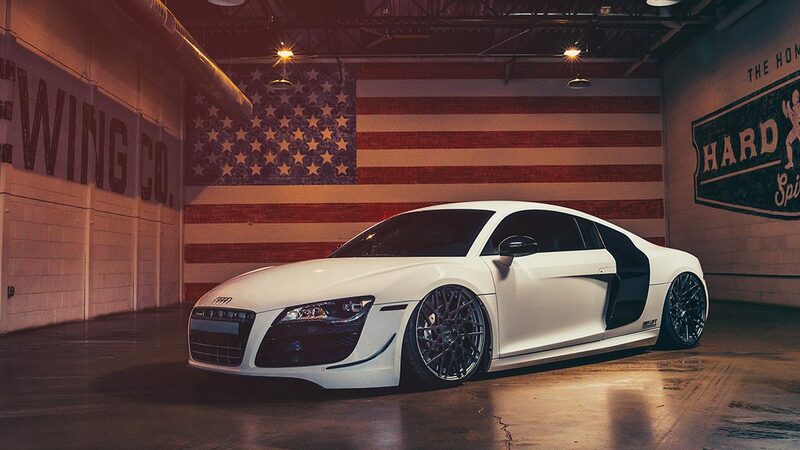 View the R8 vehicle page. Also now available from Air Lift Performance are our vehicle-specific height sensor brackets! 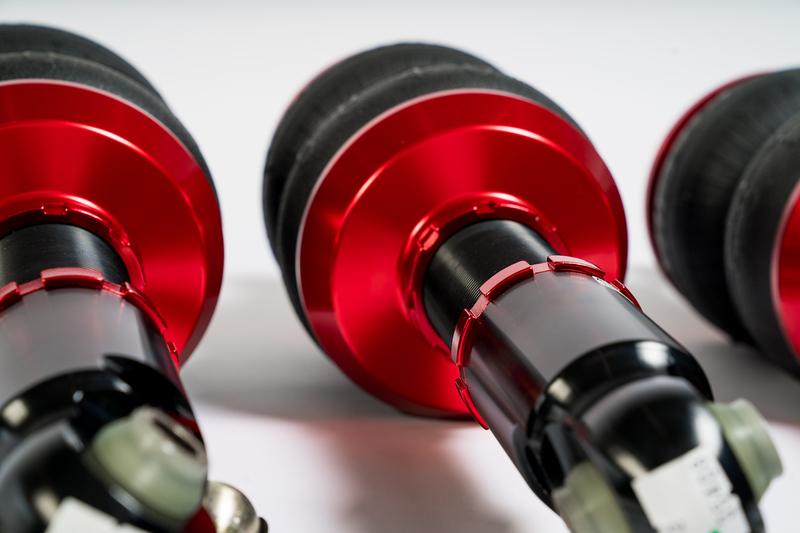 Designed specifically for the Audi R8, these no-drill, bolt-on height sensor brackets easily install with our 3H height sensors, allowing you to reach precise vehicle heights, all at the touch of a button. Modifications Req. Front: Does not use electronic damping control, reroute wire harness to prevent potential damage. Modifications Req. Rear: Does not use electronic damping control.